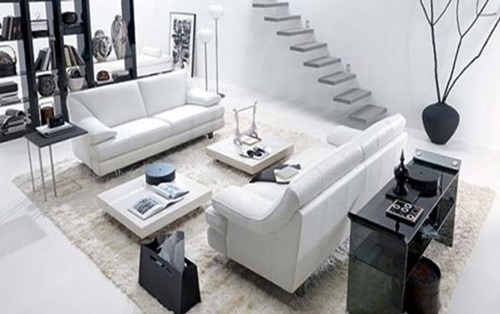 More and more people nowadays chose to paint and furnish their rooms white. There are even celebrities who ask the hotels they are going to stay in to give them all-white rooms. 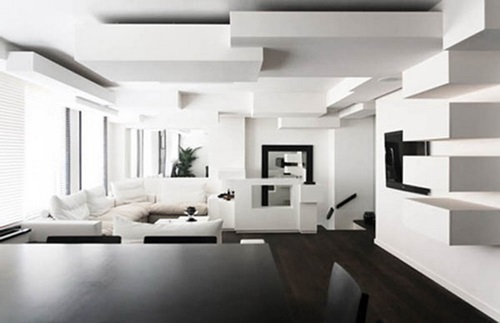 It is not really puzzling since white is a relaxing soft color that conveys peace and purity. 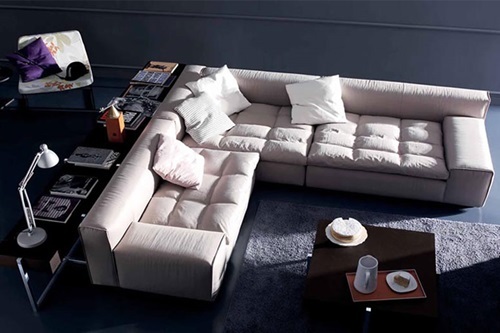 It is also handy for making your room look more spacious. 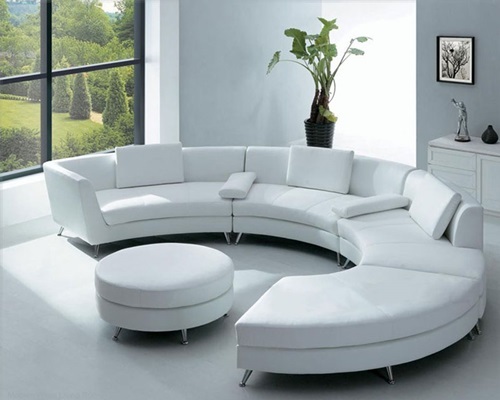 But there are few things you have to consider if you are planning to have a white living room, and which we will discuss here. 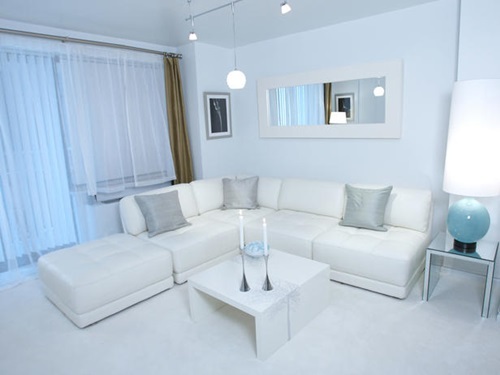 First thing you have to think about before going on the process of “whitening up” your living room is: why do you want it white? 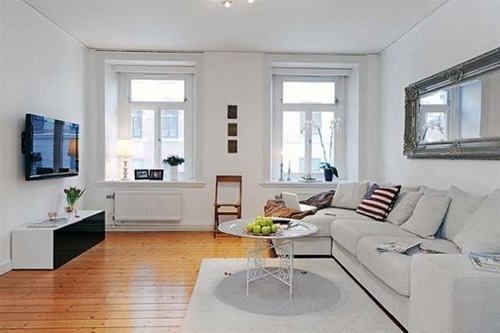 Do you want it because your living room is somewhat small and you need to make it bigger? If so, choose neutral whites. 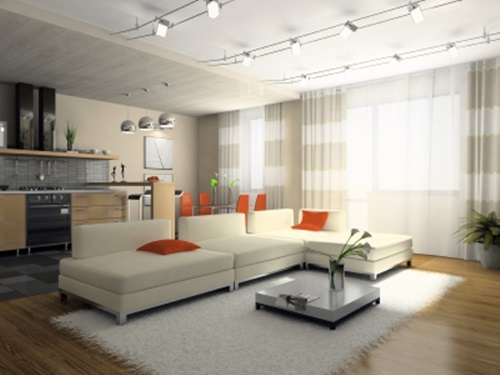 If you are planning to accessorize the room with vividly colored decorations then you should choose warm or yellowish shades of white, which will go along well with lively colors. 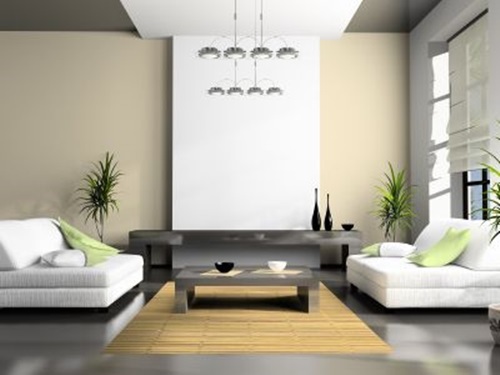 Darker shades of white match rooms with water features or plants. 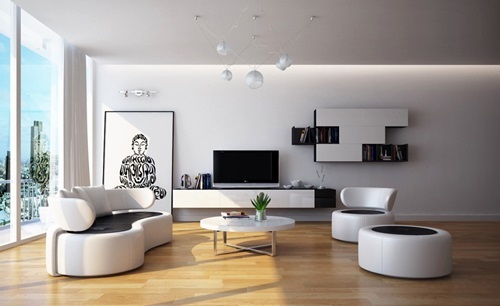 So choose the right white for your living room. 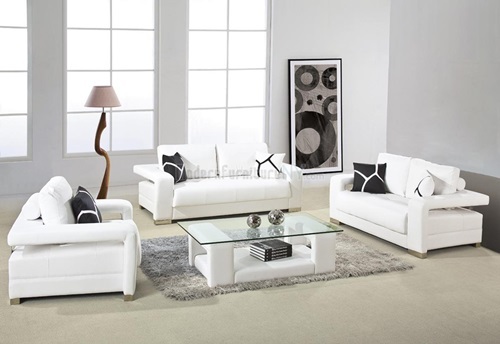 Another thing you have to make sure of is choosing the right styles and accessories for your white living room. 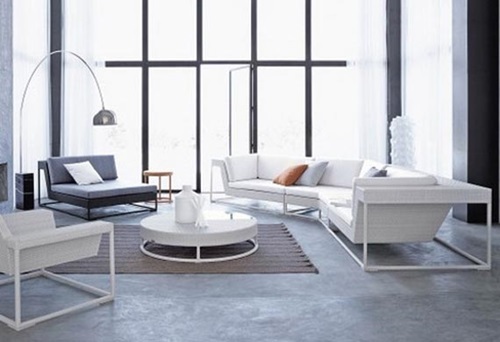 White is a neutral color. 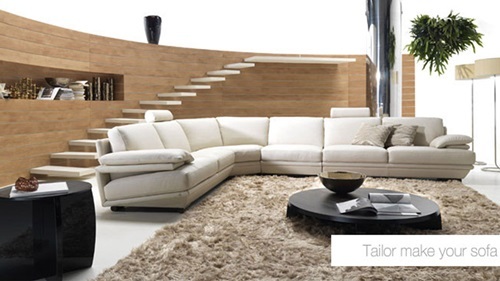 It is suitable as a background for any kind of accessories and styles. 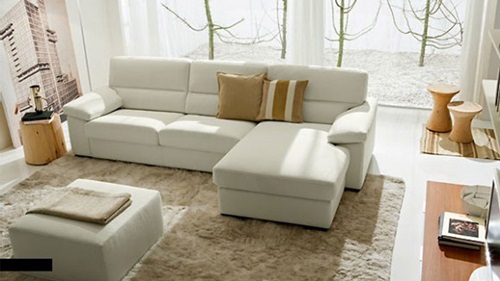 The problem is that it will not do much if the pieces of furniture in your living room have clashing designs or colors. 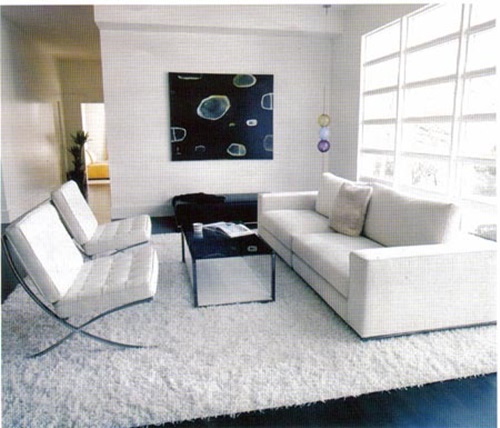 Therefore, to emphasize white as a background the colors of the front should suit each other’s . The first thing that makes any parent with small children avoid white colors is that they stain easily. As a parent, you will find that taking care of the little ones is tiring enough, so you do not want to borrow troubles with white furniture that stains easily. 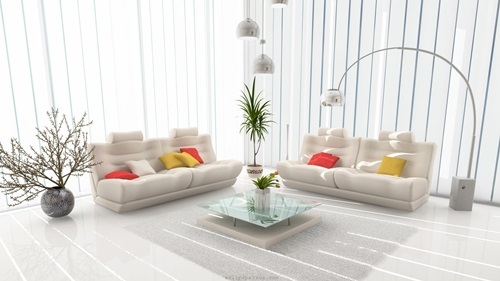 If you are going to use white color make it something that is easy to clean or too far to reach. 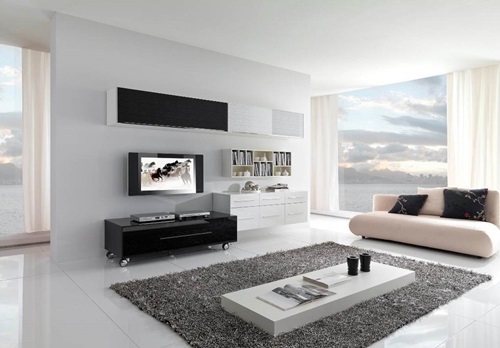 With white colors, you will find that your mood is getting brighter and that your living room is getting better. 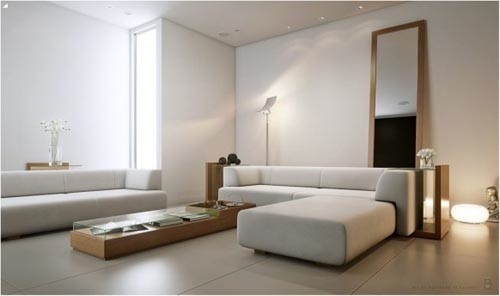 Nevertheless, the right conditions for that to happen should be there as well, so choose white for your living room .